Live from Swaziland ... it's Saturday morning! : An open letter to Project Canaan employees - STOP STEALING! An open letter to Project Canaan employees - STOP STEALING! This blog is directed towards our Swazi brothers and sisters and may not be of any interest to my Western friends. I will have it translated in to siSwati and then print it out and posted on all the buildings on Project Canaan. I don’t know if it will make any difference or have an impact on the unacceptable behavior or not, but we pray that the stealing will stop. There is a perception by many people in the West that sending funds to help in Africa is a waste of money. There is a perception that everyone is corrupt and that everyone steals, so why should the rest of the world reach out and help? We spend a lot of time and effort telling people that not everyone is corrupt and not everyone steals, and we put our own reputations on the line to commit to spending every dollar that is donated with integrity and truth. And then someone steals, again. Many weeks ago we met with each and every one of you and explained why we are here. We told you that we were called by God to quit our successful jobs, sell our house and leave our families in Canada so that could come and serve the Lord through the people of Swaziland. We have worked night and day to build Project Canaan as the Lord has directed us. We currently employ 280+ people so that each of you can buy food and clothing for your family as well pay school fees for your children. In fact, almost everyone in Gebeni and Sigceneni who is able or willing to work is employed here. Some of you have even been able to get electricity installed in your house and some have even bought a car. Can you imagine how discouraging it is for us to know that MANY of you are stealing from us? Can you imagine what it means to know that some of our highest paid and highest trusted people have been stealing? Yes, those very people who are responsible for managing the construction department and are entrusted with either ordering supplies or signing off on supplies when they arrive on Project Canaan? We have put so many procedures in place over the past few years, and you work diligently to get around them, but this week they were caught and put in jail. 3 guys in handcuffs heading off to jail. We are not fooling around here. It’s hard for us to catch every one who is stealing, but please know that God sees you when you steal. I hate that we have to check every bag of every person that leaves the property, only then to find out that whole truckloads of cement have been stolen and re-sold for personal gain. Shame on you. And here’s the real issue – you aren’t stealing from a couple of white people from Canada. You are stealing directly from the mouths of the orphans and vulnerable children of Swaziland and you are stealing from God. Do you think he doesn’t see what you take? Do you think he doesn’t know when you steal diesel fuel, or fertilizer, or seed, or jewelry, or beads or wire or milk or children’s clothing? He sees it all because he is El Roi – the God who sees! We may not be able to catch you all, but we have our eyes on you, and you will stand before the throne of God one day and HE will ask you why you stole from Him. I pray that as you take time with your families this Christmas that you take time to re-think your positions here at Project Canaan. We are here to serve the Lord, and we pray that HE will remove anyone who is not here to do the same thing. In a country with a 70% unemployment rate, there are MANY people who would happily take your job. 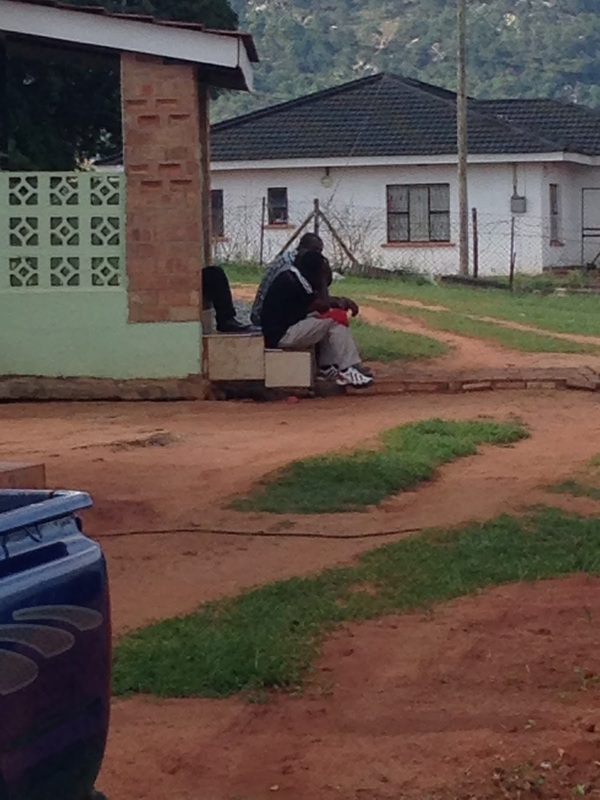 Live from Swaziland … just keepin’ it real. So sorry to hear this. How terribly discouraging for you all. I can only think that a lifetime of desperation fundamentally changes people and it will take a lot of time, love and patience to change something so ingrained. 2015 – a wonderful and difficult year.